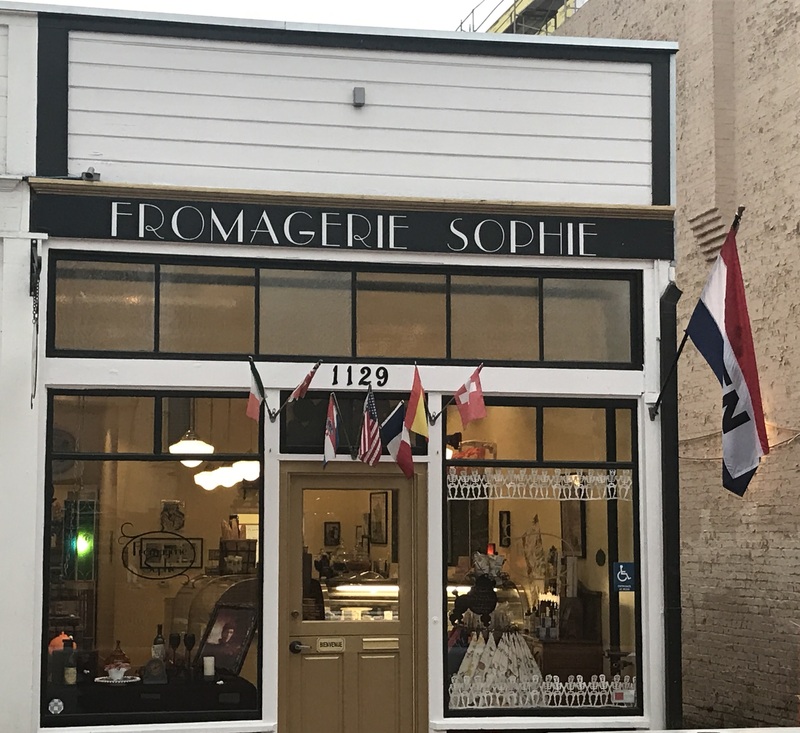 When owners Sophie Boban-Doering and Paul Doering opened Fromagerie Sophie, the cute European-inspired cheese shop in downtown San Luis Obispo, in 2013, they wanted to share their love of cheese and travel. Now four years later, Fromagerie Sophie has earned its reputation as the SLO County launch point for tasting great cheeses (plus specialty meats, pâtés, and accompaniments) from around the world. Not only do they stock some of the best cheeses from many countries, but they share them in a warm-hearted and inviting way. There is nothing pretentious about this shop; instead, it’s like stepping into a friend’s home. While their business continues to grow as more people discover the joys of great cheeses, Sophie and Paul have been nurturing an idea they had since they first opened the shop. 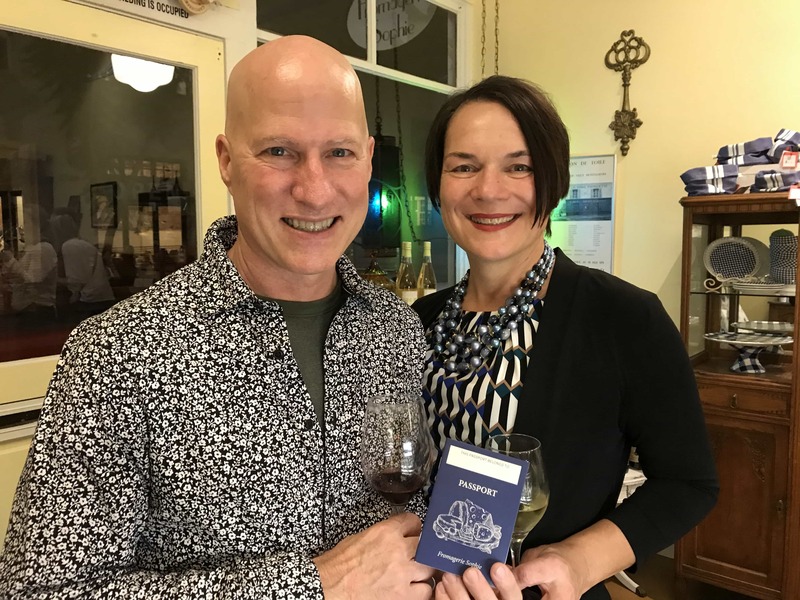 Sophie Boban-Doering and Paul Doering waited four years to unveil their exciting Passport to the cheeses of the world. They knew what they what they wanted to do, but the time wasn’t right in the early years. Others pieces of the business took priority. So they kept working… and waiting for the right time. Lucky for cheese lovers (and those who simply don’t yet know they love good cheese), that time has now come. A Journey of 1,000 Miles Begins with a Single… Bite! The new Fromagerie Sophie Passport is your ticket to exploring the world of cheese. 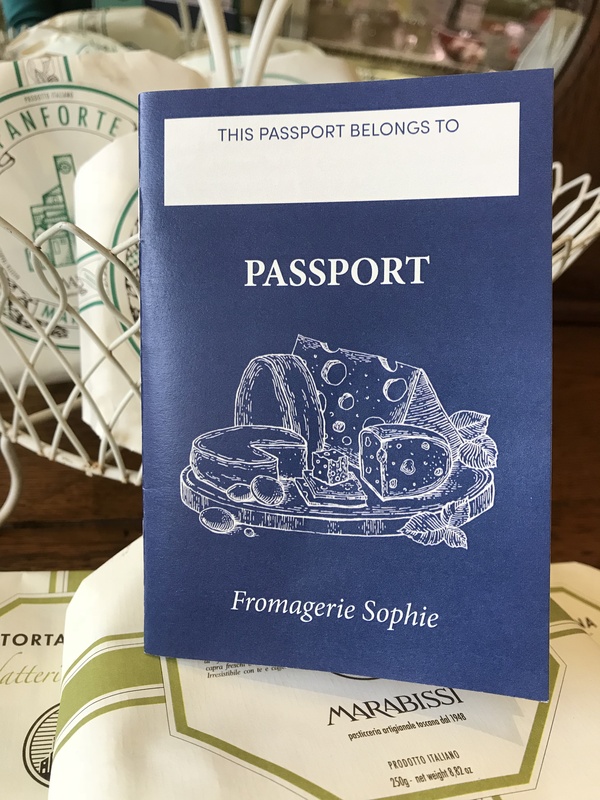 The Fromagerie Sophie Passport rewards travelers with the tastes of the world (and a gift at the end of their journey). Simply drop by the shop and put your name on your free Fromagerie Sophie Passport. Then, let your globe-trotting tour of the world’s great cheeses begin. With nearly 50 cheeses to explore, you’ll gain an education as you taste cheeses from England, France, Germany, Italy, Spain, Switzerland, Holland, the United States and a few other places. Your Passport will be kept safely at the store between visits. Then, each time you shop, you can choose a new cheese from the Passport and have it stamped. You can begin any time, with any cheese or country, and you pick your route. Marrie and Andrew Brown picked up their Passports during the launch party on November 8 (and shared a few travel tips of their own). Finish all the cheeses in one country at a time, or pick and choose among the different cheeses. There is no time limit to complete your journey around the world of cheese. 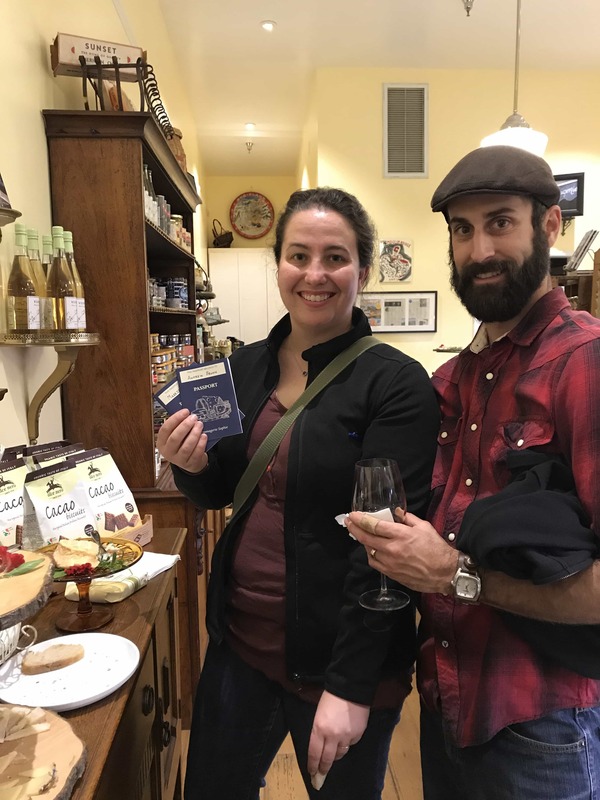 When your Passport is fully stamped from qualifying purchases, you will have earned recognition as a cheese expert and receive a gift to celebrate your accomplishment. Your tasting journey beckons. Where will you begin?